I’m all about the great blog action taking place over at I Spy DIY, and was recently inspired by this post chronicling her DIY apartment decor. 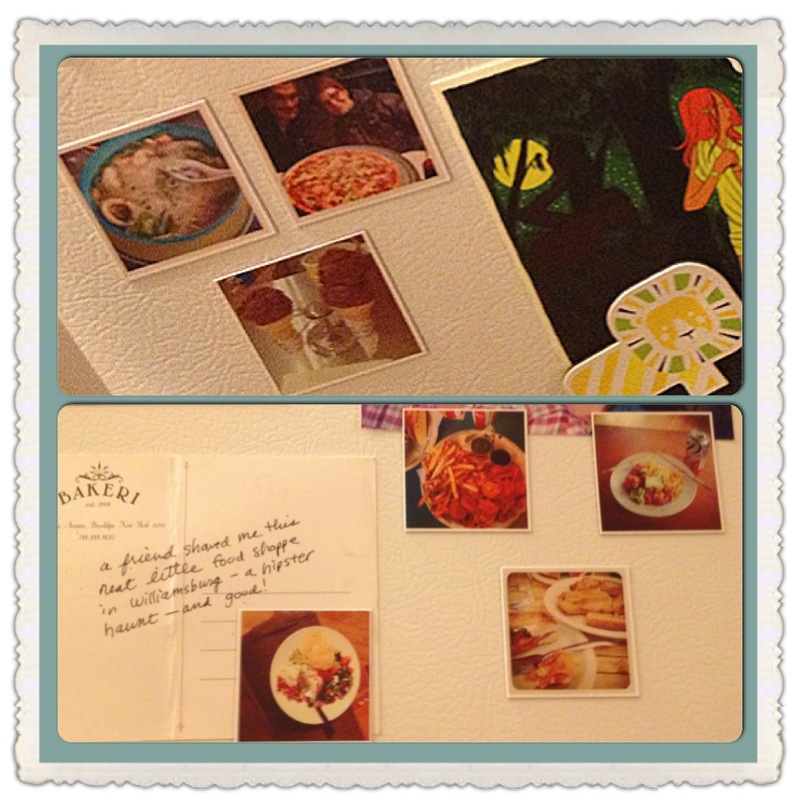 As a lady who just moved into my own place, I’m also trying to make my house a home, and was totes stoked about her idea to make magnets out of Instagram photos over at StickyGram. You get 9 personalized magnets for 15 bucks! Naturally, I made mine out of all my food pics, and the fruits of said labors are below.